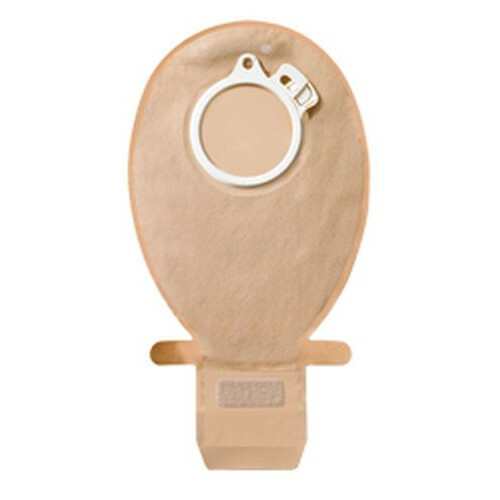 The SenSura Click Drainable Pouch with Filter by Coloplast is a unique two-piece system with a mechanical coupling. This combination gives an audible click to reassure the barrier is locked in place giving you peace of mind. Coloplast also uses color-coding to ensure a secure fit with the pouch and the barrier. The SenSura Drainable Pouch will always match with the corresponding Click Barrier that will have the same color of red, green, yellow or blue. Individuals who have a lot of liquid stoma output find a 2-Piece Drainable Pouch to work best for them since they can drain the pouch as often as needed without removing the barrier. The SenSura double-layer barrier makes it even easier than adhesive barriers to change. 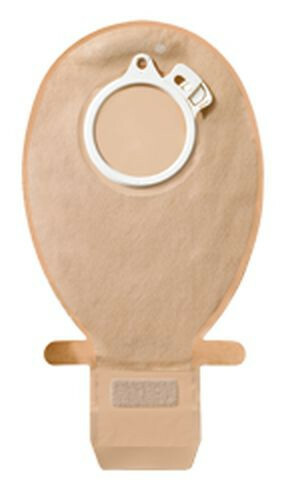 The two layers protect the skin from stoma output and absorbs excess moisture to maintain skin integrity. Other design features include the ability to reposition the mechanical coupling based on person's dexterity. The pouch comes with an integrated filter to neutralize odor while eliminating gas to prevent the pouch from ballooning. The pouch has an EasiClose Wide outlet for faster emptying of the pouch that's easier to clean. The Velcro closure eliminates the need for bulky clips or clamps. The SenSura Drainable Pouches come in opaque and transparent. You may also be interested SenSura Flex drainable ostomy pouch with a flexible adhesive designed to allow adhesive barrier stay on even longer. The product is as described. The bags work well. I found Vitality to be the least expensive.